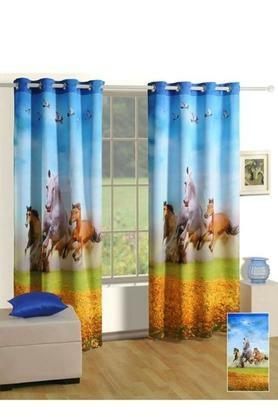 Refurbish the overall look of your room by installing this window curtain. It features an abstract print pattern that renders it trendy. Apart from that, it is made of premium quality cotton that lends it a stylish finish and adds to its appeal. Adorn your window with this curtain presented to you by Swayam.